Nothing feels as good as a long, lazy weekend amidst our busy schedules, and when it comes to taking little breaks once in a while, 2018 won’t disappoint. 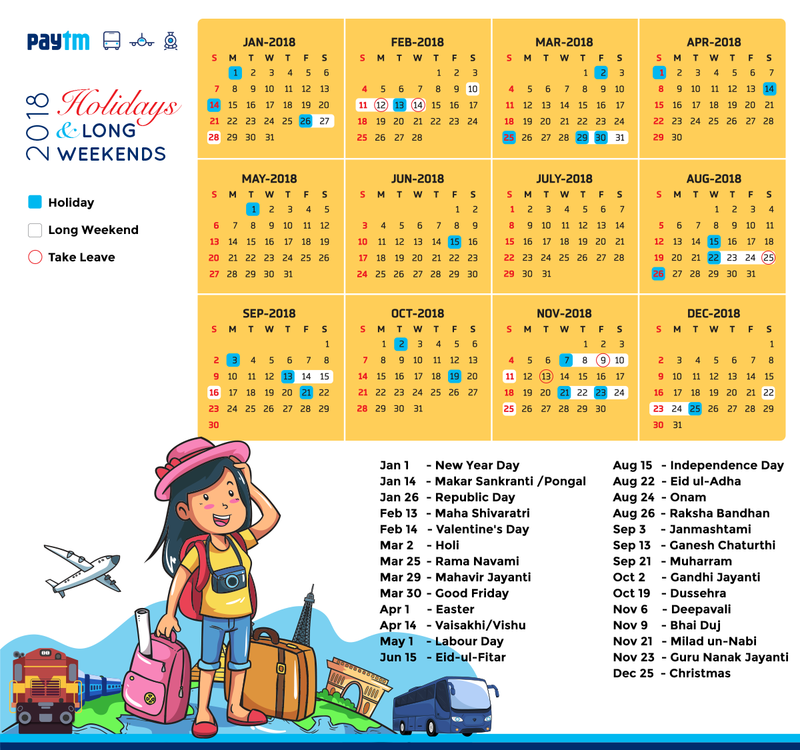 As we usher into the New Year, it’s time to take a look at the holiday & long weekend calendar and plan our travel in advance. Make the most of these days by travelling to destinations you have never been to.